In Home Solutions nurse with a client. If you asked your elderly loved one today if they want to stay in their own home as long as possible, what do you think they would say? Of course! Since November is National Home Care Month, let’s look at some common questions people have about home care. Home care can vary from a couple hours a month to around-the-clock care, according to your needs. Does Medicare pay for home care or home health care? Medicare does not pay for home care. It may be paid for by long term care insurance, veteran’s benefits or through assistance from the Area Agency on Aging, but is often paid for out-of-pocket. Medicare covers home health care if a doctor writes a prescription for it and the patient is considered “homebound.” This doesn’t mean the person can never leave their home. It means that it is physically demanding for them to do so, and their outings aren’t very frequent. Going to church, doctor’s appointments, the beauty shop or out to dinner once a week does not disqualify a person from receiving home health care covered by Medicare. Some other health insurances will also cover home health care. 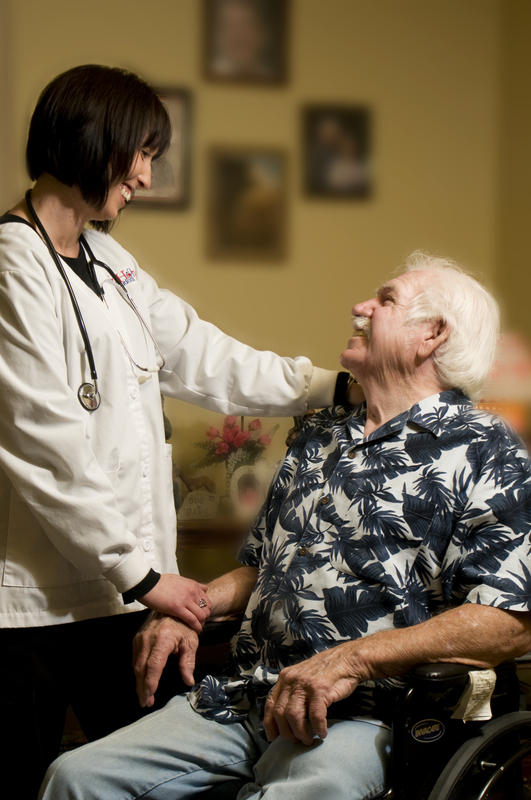 Prevention – home care is a great preventative measure to avoid hospital stays and ER visits. Quicker healing – studies have shown an individual healing for an illness or surgery bounces back more quickly in their own home. More affordable than in-patient care – if a patient doesn’t need 24 hour care, the cost of home care is much more economical than living in a long term care community. 4 hours/day of home care would cost roughly $70, compared to $230/day in a nursing home or $91/day in a personal care home. How do I get home care or home health care for my loved one?If you are interested in home care or home health services, contact a local agency that provides care. In Jefferson and Clarion Counties and parts of Elk, Armstrong, Clearfield, Venango and Forest counties, WRC offers our agency In Home Solutions. For outside the area, ask for recommendations, use your yellow pages or Google to find local agencies, or call the local Area Agency on Aging. All agencies are not alike, and remember you get what you pay for. Here are some great questions you can ask when interviewing agencies. If your loved one is hospitalized, the doctor or nurse may suggest home health care to help them continue their recovery at home. In this case they will write a prescription for the care and then you have a choice of who you want to provide the care. That’s why doing research beforehand is so important. Then you’ll know what agency you would like to use, rather than just being assigned to an agency randomly. If you’d like more info about home care or home health care, call In Home Solutions toll-free at 1-800-972-9363, and they’d be happy to assist you. Thanks for your article, this will benefit anyone in the industry of elderly care. Sometimes, these two terms can be easily confused, from your article, I was able to know it has some subtle different meanings.